I know I'm not the world’s best blogger but I'm going to try and do a better job of keeping you all updated on my adventures! Let’s start all fresh with 2013 shall we? 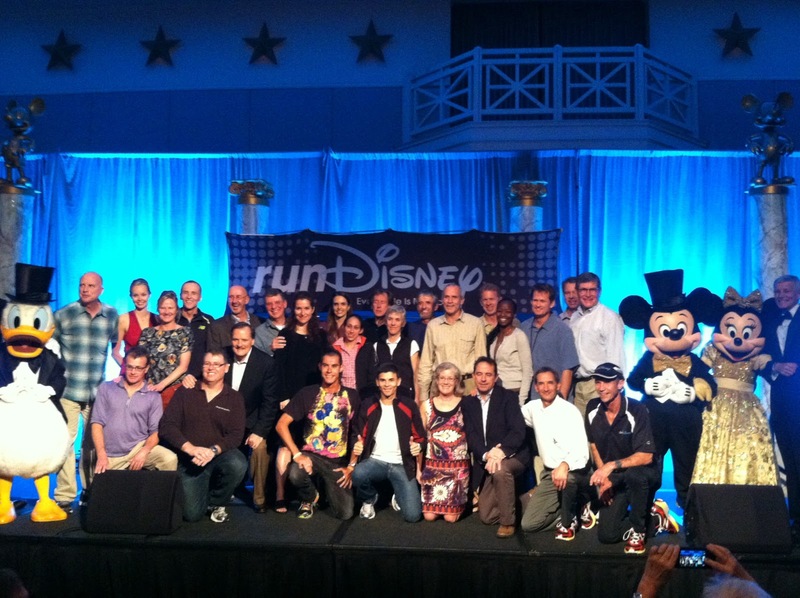 I was an invited guest to this year’s 20th Anniversary of the Walt Disney World Marathon in Orlando Florida. Oh my gosh, what a fun event! For this year’s 20th Anniversary they brought in a slew of past running legends including Bill Rodgers, Frank Shorter, Joanie Samuleson, Greg Meyer, Jon Sinclair, Kim Jones, Desiree Davila, Keith Brantly, Jeff Galloway, Dave McGillivray, Guy Morse, Jim Ryan, it was a who’s who in American distance running! Jon and Betsy Hughes who own Track Shack running stores have been the race directors from day one and do a fantastic job! 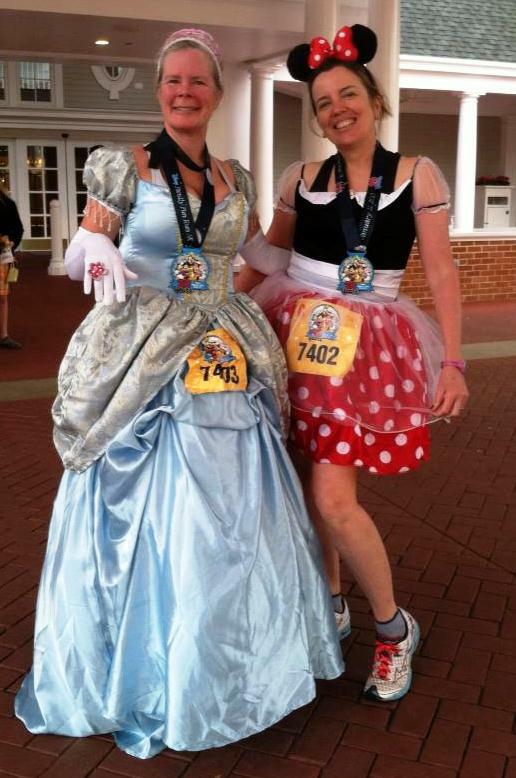 Between the 5K, half marathon, and marathon, they had 67,000 entrants! I did a couple of talks at the expo, signed bibs and chatted with people at the RunDisney booth, and the New Balance Shoe Company booth….who, by the way, just signed a long term agreement to be the Official running shoe for all RunDisney events! They came out with a special shoe for Disney, the 860 in Mickey Mouse colors for men and the 860 in Minnie Mouse colors for the gals, talk about an awesome looking shoe! I've been involved with NB for many many years and they and the folks there are super! I spent time each day at their photo booth chatting with folks, having pictures taken, and signing bibs, what a blast! On Friday morning we met at 6:30 for the Meet Up Tweet Up Run. A few days before, RunDisney put out a tweet for the first 120 people that responded they would be invited to a special running event. Within a minute they had it filled, they would go onto receive over 5000 people responding, oh the power of social media! I along with Bill Rodgers, Joanie Samuelson, Desiree Davila, Jeff Galloway, and others led 120 folks on a 2.5 mile fun run through the Disney Hollywood Theme Park. Afterwards we had good food, a great question and answer session, and plenty of photos! Saturday morning, the day for the half marathon came early as most everyone had to catch a bus at 3am to get to the race which started at 5:30, with 27,000 runners all trying to get to the same spot I can see why the buses had to start so early! I was asked to say a few words right before the start and then it was off to the races! My wife Jilly and her friend Beth also ran but more as a fun run as they were dressed as Cinderella and Minnie Mouse, they had a ball! It was very humid for January but I really didn't feel bothered by it much if at all. I was hoping to run a sub 1:30 but it wasn't meant to be. My legs felt tired the whole way but I still managed a 1:32 and was fortunate to have won the 55-59 age group. We had such a wonderful time; I would go back in a heartbeat! Thank you Jon and Betsy and Disney and all my buddies at New Balance. It was so fun to run with you at the Meet Up!